Spring arrived quickly with the first months of the year being mild and precipitations being low. The month of April was very dry with 80% less rainfall than usual. The average monthly temperatures stayed quite high in March, April and May. We almost thought that summer had arrived early in Burgundy. At the very beginning of April the first green tips of the buds appeared. At this point the vines were three weeks ahead compared to a normal year. The record temperatures of April stimulated the vines and vegetative growth was accelerated. Flowering began on the 17th of May and was fully in flower around the 22nd. At the end of May we noticed a month's advance on 2010. As a result of this warm, dry weather the vines remained very healthy, the habitual diseases and small pests being deprived of the appropriate conditions for their development. The month of July marked a radical change with the meteorological conditions being the total opposite. Burgundy is swept with an important wave of rainfall. Temperatures fall below the seasonal average. These conditions slow down the veraison. The first berries to change colour are noticed around the 10th of July and the grapes start to really evolve from the 20th of July. The vineyard still appears exceptionally healthy. At the beginning of August the stages of veraison are close to 90% depending on the areas. The month is marked by alternate periods of hot and sunny, and cool and rainy weather. 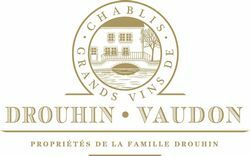 In our Chablis domain the harvest started at the end of August, to finish on the 13th of September and the yield was normal. The vinifications progressed quite well. Bottling took place reasonably early in order to keep the fruit and the elegance of the wines. Throughout the tastings that took place during the maturing, we were very enthusiastic about the charming, generous and precise nature of the vintage.